I Call Shennanigans On T-Mobile The "Uncarrier"
T-Mobile is on a rampage. They are fishing for converts from AT&T, Verizon, and Sprint by offering to pay all of your current contract cancellation fees to make the switch to the "uncarrier". But when you take away all the fluff, they're no different than any other carrier. If you're not paying full price for a smartphone, or bringing your own phone, you're still required to sign a 2-year contract agreement with T-Mobile. I'm so surprised that nobody seems to realize this. Smartphones are super expensive miniature computers. They can cost anywhere from $350 to $800. A lot of people don't realize that you're not getting a "free smartphone" or a brand new handset for $200 when you sign on for an agreement. The cost of that amazing little device that you landed is built into the fees charged to your 2-year agreement. That's how it is paid for. For example, if you want to upgrade before your 2-year commitment is up, you've still got to finish paying for the device that you have. That's why AT&T offers the "Next" program where you pay an extra $25 (roughly) per month, which covers the cost of paying for the device early. No carrier currently offers smartphone deals with no contract. You'll pay for it one way or another. It will either be up-front in full, through your monthly fees, or through a special program that catches you up from switching to new devices early. T-Mobile is no different. So why is T-Mobile promoting their company as the renegade "uncarrier"? I have no idea. I call 100% shennanigans on this practice. It's sneaky marketing, period. They are no more an "uncarrier" than the next company. Just consider this...if you want the same great deal with AT&T, Verizon, or Sprint, you can do the same exact thing by paying for your smartphone from the get-go. When you do, you won't have to be bound to a 2-year agreement. Thus far, their marketing scheme is working. In the 4th quarter of 2013, T-Mobile acquired 866,000 new customers by supposedly undercutting the competition. But in the end, the only thing you'll undercut is yourself, if you switch to T-Mobile in one of their crappy coverage areaa (like Central Missouri). Chew on that a while. My trusty AT&T informant has just told me that the LG G Flex will be coming to my favorite carrier network sometime in the first quarter of 2014. LG has been on the rise for quite some time, tranforming from a brand maker of devices I wouldn't waste my money on to a top-level manufacturer of high quality cutting-edge technology (see my video post on the LG G2). With the LG G Flex comes a lot of innovation, and it looks like this will be a strong newcomer on the smartphone scene as a result. 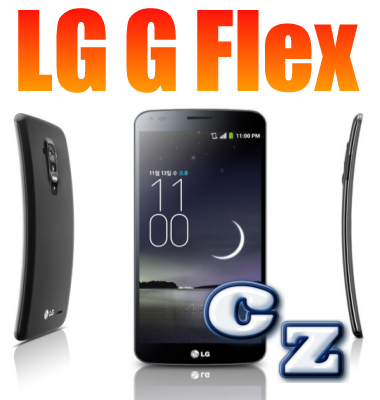 The G Flex will have a curved form factor that we have not seen on the shelves as of yet. It looks like the G Flex will fit your face fabulously, without fail. The big fat fantastic phablet front viewing face of the G Flex measures a whopping 6" diagonally, and is what LG calls a "true HD P-OLED Real RGB" display. The catch? It's supposed to reduce glare and provide more of an "immersive" experience. Looking under the hood of this monster, it's power plant is packing a 2.26GHz quad core Snapdragon 800 processor, 2Gb RAM, 32Gb storage memory, a 13Mp camera, 2.1Mp front-facing cam, a 3,500mAh battery (wow) and Android Jelly Bean 4.2.2. That's not bad at all, and pretty much keeps the LG G Flex right in the middle of cutting-edge smartphones currently being sold out on the market. We'll have to wait and see how the LG operating environment feels, but if it is anything like the LG G2, I'm sure it will be spectacular. LG has come of age. I give them 100% respect as a quality hardware manufacturer, and hats-off to them for bringing the first true concave smartphone mainstream. Samsung Galaxy Note 3 Lite - Could This Be A Hit? If this report turns out to be true, I could be looking at my next smartphone purchase. The Samsung Galaxy Note 3 Lite could hit a sweet spot with what I want most in a smartphone. I'm still thoroughly enjoying my Samsung Galaxy S4, don't get me wrong. And I've been eyeballing a Note 3 since its release. But I just can't justify spending the money on making that purchase outright. But with the prospect of the Galaxy Note 3 Lite, I'm thinking seriously of taking that leap if the price is right. And I'm talking about buying off-contract. The current Galaxy Note 3 can be found used on eBay for around $550 if you look hard. That's an excellent price, considering this phone is priced at $724.99 via AT&T brand new. But if the Galaxy Note 3 can be obtained brand new for what you would pay for a Note 3 that is used, this could be a winner. As far as tech specs, the Galaxy Note 3 Lite is looking like it will fall right between the Galaxy Note 2 and the Note 3. Instead of a full HD display, we're talking 720p HD. And that's not bad. I'm sure they will pack at least as much RAM and memory storage as the Note 2, but it could be a bit higher. I'm going to be watching closely for developments, and I'll report back as soon as I see something solid. This would be a great smartphone to run on the AT&T network, my carrier of choice! To my horror, I couldn't find the phone because I let it sit for 2 days and the battery (which actually has great performance) was dead as a doornail. Calling the phone wouldn't help me one bit. I put the Moto X in such a great place, I couldn't find it after tearing my whole house apart and searching my "man bag" twice. For the past month, I have been haunted by the feeling that it was somewhere close. I've never lost a smartphone (or anthing else of great value), and something just didn't "feel" right. I had a strange feeling that it was somewhere close to me. A couple of days ago, I reached in my man bag to look for something, and would you guess what my hands accidentally felt in one of the inside compartments? 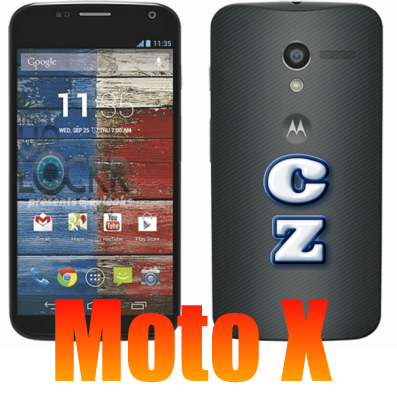 It was the Moto X! You can only imagine how much of a lunk head I felt like, discovering that the smartphone was with me the entire time it was "lost"! I immediately jumped back on this phone, quickly discovering why I love this device so much. It has such a clean appearance and feel, and is made like the rugged device that it was advertised to be. Having the power and volume buttons on one side is so refreshing. And operating the device is unlike any other I've tested. It's free of bloatware. Motorola has definitely snuffed out most of the competition on this fact alone. You don't have to wade through tons of extra add-on apps that you'll never use, the types that only advertise for extra services that you don't really need. That's quite refreshing. And the operating system functions incredibly fast as a result. You're never running a pile of useless applications in the background, so the phone can load and run your apps much more efficiently. The display on the Moto X is absolutely wonderful. The graphics are extremely sharp and brilliant, video content runs as smooth as butter, and the basic layout just looks wonderful. The built-in notification sounds are not annoying like many other devices which can be downright intrusive. You don't have to fumble through the notification sounds to calm the phone down and force it not to drive you up the walls. All of this adds up to a quality user experience. I've already made the recommendation that this would be a great first smartphone device for anyone, but also a good choice for someone who isn't focused on having a pile of quirky extras that muddle up your general usage. I'm going to jump back in the saddle and finish my test of this device and give the final report very soon. Look for it in the coming week! Nexus 5 Review Hands-On Coming Soon! The delicious LG Nexus 5 with KitKat (Anroid 4.4) is coming to stores and mailboxes! I haven't given this new smartphone much attention, but it's been stirring up quite a bit of buzz. Tomorrow, I hope to video an unboxing of fellow gadget geek Travis Fitzwater's new Nexus 5. You'll only be able to get the Nexus 5 from AT&T (my choice), Sprint, and T-Mobile. Sorry Big Red customers, you get no Nexus love. Yet. This is looking like a very decent smartphone, tech-wise. It's packing enough power to have motivated my pal Travis into jumping ship (or at least temporarily) from the world of Apple. It packs a 2.3GHz quad core processor made by Snapdragon, and a healthy 2Gb of RAM (this seems to be the new standard). The display is nothing short of glorious. It looks like LG has hit a homer with the 5" 1080p screen. This seems to be the trend in smartphone screen size these days. And this big puppy is powered by a 2300mAh battery that has wireless charging capability. Very impressive. The new Nexus 5 has a Gorilla Glass front screen and a palstic casing. You all know how big of a fan of plastic form factors I am when it comes to smartphones. But for those who are critical, I've read that the pastic on the Nexus 5 has a very silky "quality-like" feel, for whatever that's worth. The Nexus 5 looks to be super thin, and stretches the edges of the display to the limits. It's right up to the edges of the bezel. It's slightly rounded on the sides, so that should give it a comfortable feel in the hands. Camera-wise, you have a 1.3Mp front facing cam and an 8Mp rear main camera. That sounds like a step back, but it is supposed to have optical image stabilization (OIS) for reducing blur. That's a big plus in my opinion. I'd rather have less megapixels and blur control, because 13Mp will do you no good when you need to use a tripod to get a good picture. Price-wise, this looks like one heck of a bargain at $349 for the 16Gb version if you're buying the device straight out. It's probably going to be $150 on contract. Add fifty bucks for the 32Gb version and it's still a great deal. That's about all I want to cover for now. I'll wait to give more useful details when we rip into the box of Travis's new Nexus 5, and I'll have a YouTube video to share the exicitement with you! Stay tuned! 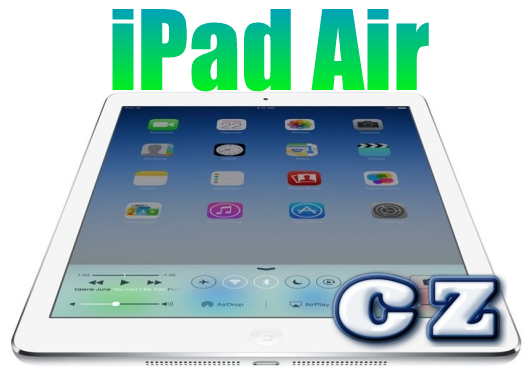 I've had several people ask me about the new iPad Air coming out Friday, November 1st via AT&T. Let's take a look at some of the details on this slick new tablet hot off the Apple press! As the name denotes, iPad air is going to be thinner and lighter, and of course the fastest processing power to date. It weighs in at a super light 1 pound. That's 20% lighter than its predecessor, the iPad 4th generation tablet. Plus it is 28% thinner. How this thing could get any more slim is beyond me, but the Apple devs have apparently been hard at work using miniaturizing ray guns to thin this device out more than all of the previous models. It has an even narrower bezel than iPad 4th generation, which basically means that the iPad Air stretches the viewable display farther to the edges of the device. It gives a more futuristic experience than ever. Its packing a brilliantly sharp 9.7" Retina display, which means you'll get some seriously sharp text for ease of reading. This means you'll hardly notice the difference between reading on this display from reading in a print magazine. Apps will run super fast with the improved A7 cpu chip which is a 64-bit processor. That's kind of like upgrading a 4-lane highway to 8 lanes, which means it can move more data to push your favorite apps even faster. That will seriously decrease load times and graphics processing. Your wireless capability will be faster for both WiFi and 4G LTE operation. With more an more LTE coverage around the nation, the iPad Air with a data plan will be a blast and give you blazing speeds on the go. Couple that with all the new iOS7 features, and you're in for a great tablet experience. AT&T will be offering a variety of data plans for the iPad Air, including device data sharing. If you already have a wireless account, you can start off with a $10 addition to power your wireless browsing. You also have the new pay-per-use plans that start at 250mb for one day for five bucks, and you can take that all the way to a one-time 30 day deal for $50 that gives you 5Gb of data. You can get the skinny on all the available plans at www.att.com/ipad. For those of you who like to stay on the cutting edge, I think you'd be happy to jump on one of these. I'm going to have to go check this out myself and get a quick test drive. Up until now, I haven't been a big fan of tablets because they are too heavy in my hands. But this one might hit the mark. Stay with me and I'll be back with a video as soon as I catch one of these puppies out in the wild! I've spent several days with the Motorola Moto X smartphone from AT&T, and it's turning out to be a solid device that I would give a definite positive recommendation for those looking to buy a no-nonsense smartphone that will not only hold up to heavy use, but one that will get the job done. You can check out the video below to get my initial reaction after my first day with this device. As promised, I'll give you a few more details about the specs and features of this phone that that I really like. First off, I mistakenly mentioned in the video that the Moto X has 1Gb of RAM. It actually has 2Gb of RAM, which is great. This gives the device top-notch ability to crank through applications with speed, and puts it right in the middle of the best smartphones on the market today. I call it a "no nonsense" smartphone because it's not loaded up with what they call "bloatware", or extra apps that you really don't need which push you to pay for services outside of the basic functions. It offers a much cleaner platform with much less clutter. You can get this smartphone with 16Gb or 32Gb of internal storage memory, which is plenty enough to keep your pictures, videos, and your favorite applications. You don't have the ability to put in an extra SD card, but that's not a deal breaker. The screen is absolutely brilliant. It's a 720 x 1280 pixel display with 16 million colors in a 4.7" diagonal size that fits great in your hands. You can operate the Moto X with one hand with no problem, and you can really enjoy rich video content. I didn't realize it even had a 4.7" size, because it fits as snugly in your hand as the former Samsung Galaxy S2 smartphone that has a 4.3" display. Something else that I really like is the power cube. It has 2 USB 2.0 plugs, something I have never had with a smartphone power cord. That means you can power up another device while charging your phone, like a tablet or music device. That's very cool. I love the fact that they put the power button and the volume buttons on the right side together. The buttons pertrude and are super easy to locate without looking at the device. I find it a lot easier to use the buttons on the same side rather than on the right and left, or power button on the top. The USB power connector is also on the bottom of the device, which I love. There are a few smartphone devices on the market that have the power cord on the top, and on the side. I find that to be very annoying. I'd much rather power my smartphone from the bottom of the device. Strangely, the Moto X reminds me of an HTC device. It is strikingly similar to HTC One with its shape, but slightly smaller even though the display is the exact same size. Plus you get a solid polycarbonate back that has a rubbery feel that is more grippable than the regular smooth shiny back plates. That's a big plus because I have a propensity to let smartphones slide out of my hand when using them. You get Corning Gorilla Glass on the front, and Motorola claims it is "scratch proof". I'm not able to take a nail to this device to test that feature out, but I trust that they know what they're talking about. Add that to the solid body, and you get a super durable smartphone. The Moto X packs a 4G LTE radio for all of its offerings, on AT&T, Verizon, and Sprint. That means you'll be able to surf the web at top speed while in LTE coverage areas. The camera is very decent at 10Mp, and takes great pictures. There are several devices on the market with 13Mp cameras, but the Moto X takes great shots and you won't notice a real difference. It has an LED flash, face recognition, and can take panoramic pics. The front camera is 2Mp in size, and that also puts it right in the middle of the top devices for those that love taking good quality selfies, and for video chatting. You get a Li-Ion 2200 mAh battery that performs well and lasts long with regular use. Plus it doesn't seem to generate as much heat as some of the competitor's devices. You also have a Dual-core 1.7 GHz Krait CPU, which probably lends to its cooler operation. You've got a lot of devices with quad core processors, and they are definitely faster. But even with a middle-of-the-road CPU, most people aren't going to notice much of a difference. It's a good tradeoff. The shape of the phone's backing is similar to an HTC One with its rounded design. It won't sit flat on the table for those that like texting with their smarpthone sitting down, but you can solve that with a case. It does feel great in your hands though, thanks to that design. Overall, the Moto X is a go for those that want a smartphone that will get the simple tasks done without piles of extra gimmicky functions. I think this would be a great device for someone who has never owned a smartphone, and for those that want a device that will stand up to heavy use and a beating. Check out the video, and I'll be writing more about this device at the end of my test period! Comments or questions? Hit me up and let's talk about it! Special thanks to AT&T St. Louis for the review device! THE SAMSUNG GALAXY MEGA - MY REACTION! I've spent 3 amazing days with the new Samsung Galaxy Mega from AT&T, and it has been quite a bit of fun! I'm ready to share a few details about this gigantic device, if you're considering this phablet as your main communications device. First of all, let's tell you about what this device is. It's a mid-range smartphone made to fit your budget and give you the best multimedia experience without breaking the bank. I like that idea. This would be the perfect combo for those wanting a smartphone and a tablet all in one. The display on this device happens to be a 720p Super Clear LCD display. This is a step down from the AMOLED HD displays found in the top of the line Galaxy S4. Even though it is a less expensive display, only experts will really notice a big difference. The display is good enough to rock video content, and I absolutely love the extra size for watching a movie or YouTube video content. Plus, it's a complete blast for playing games like Candy Crush Saga, my secret addiction. On the inside, you'll get a dual core 1.5GHz processor with 1.5Gb of RAM. That's enough muscle to serve up good graphics, push apps, and do some multi tasking along with Samsung's new split screen for running 2 apps in separate windows. Being the owner of a Samsung Galaxy S4, I do notice that there's a bit of a lag when loading apps, videos, and the likes. It's not that the Galaxy Mega is slow by any means, but it does let me know just how powerful my Galaxy S4 is with its more powerful processor and extra half a Gb of RAM. A lot of the new features that come with the Galaxy S4 are included with the Galaxy Mega, including things like Air View, the ability to minimize a video while running, and all of the nice gesture controls. That's a lot more than what you'll get with other budget tablet devices. Size-wise, this is a gigantic device that some might complain for being too big to fit in their hands. But for me, I don't seem to mind it that much. I'd rather have a fully-functional tablet with smartphone capabilities than to own two different devices. I got used to the size really quick, and it makes my Galaxy S4 feel like an iPhone in my hands after playing with it a while. The build of the Galaxy Mega is much like all of the other Galaxy smartphones. It's light, has the same plastic backing, and the faux metal ring surrounding the edges. The back plate does seem to pick up a lot of fingerprints, so those that are finicky about looks might be bothered by that. Running apps like Facebook, Instagram, Twitter, and other social media programs is a blast with the huge display. It's also quite fantastic for surfing the web, using reader software, and watching video content. I'm actually going to be sad to see this device go back to AT&T tomorrow. If I had money to burn, I might even consider having one of these as a backup phone and primary tablet. But I might hold out for the Galaxy Note III, because I'd love to have something of this size with an S Pen stylus. At $149 on a 2-year contract, I think this device will certainly hit a groove with those that don't want or need the cutting edge for processing power. Check out more details and have one shipped to your doorstep at the Amazon Wireless store! Get a Samsung Galaxy Mega for $149 at the Amazon Wireless Store now! Click the link for details! MEGA-SIZE SMARTPHONE TEST IS COMING SOON! The Samsung Mega with its whopping 6.3" display will be coming to my mailbox soon for a full review. I'm super excited about it, and I'm going to spend some quality time running it through the mill. This is a new concept of giganticizing a smartphone to fill the phablet niche. I think it has definite use, for those that want to perform functions like a tablet can only provide. It's looking like this will be a budget jumbo smartphone, coming in at a surprising price of only $149 on a 2-year contract via AT&T. But the specs on the phone definitely don't scream "cheap" by any means. Plus it is said to include a lot of the gadgety features of the Galaxy S4, like multi tasking, motion gestures, and more. I think if your focus is on having a large display and tablet functionality, this might be a hit. The device dosen't pack the power of the Samsung Galaxy S4, but I think it will definitely function and perform well for what it is. It might be a little bit of a stretch using this as a phone, but I'm open to the idea of having a jumbolicious device like this that provides its own 4G LTE service. I just wish it came with an S Pen, but that might jack the price up beyond what they are targeting. I'll be watching the horizon for the UPS delivery truck, and I'll give a full report when I break it out of the box. If this is something that would piquie your interest, stay tuned! More info is on the way! I'm sure you're wondering where all the tech updates have been over the past couple of months. Well, I've been busy... playing with my Samsung Galaxy S4 smartphone. Today I'll give you my unrehearsed report of what I think of my Galaxy S4 smartphone, which has been enough of a distraction to keep me from blogging and reviewing other devices. I'll cover what pops into my mind as it comes, and try to cover the details from the exterior build to the display and then to the performance of this device. First, I'll tell you what my experience has been on the physical form factor of this device. As you all know, I'm very hard on smartphones. I've broken enough of them over the past 4 years to give you trustworthy report. The Samsung Galaxy S4 has been reported to be a cheaply build phone that is lightweight and "plasticy" feeling. This is definitely a positive. I've dropped my Galaxy S4 just a few times, definitely not the number of times that I drop-kicked my Galaxy S2. But due to the light weight and plastic body, the phone has not broken. There is a large percentage of consumers who feel that a smartphone should feel "solid", and carry enough weight to give the impression that it is a "good build". I can honestly disagree with that. Dropping a Galaxy S4 is not nearly as traumatic of an experience as dropping an iPhone, whatever the model. The lighter the weight, the easier it hits the ground. I did notice that what I thought was a metal ring around the circumference of the phone is a "faux" metal band. It's really just shiny silver plastic made to give the impression that it has something similar to the iPhone. I would have liked to see a real metal ring around this smartphone, but that would add uneccesary weight. So I can live with that. The face of the phone and the thin back plate are equally light weight and made of some type of plastic, and this is also somewhat of a negative for some consumers. But for the price you pay for a smartphone whether straight-out or on a 2-year contract, this is something you will appreciate when you drop it. I have experienced some heating issues when talking on the phone or while multitasking, but it doesn't seem to be any worse than most smartphones. With the size of the processor in this device, you can expect that it will generate a fair amount of heat when in heavy use. Maybe this is something that will be improved on all smartphones in the future. The display is nothing less than spectacular. Everything that Samsung promised with the 5" Super AMOLED HD 1920x1080 display was delivered in full. Watching video content on this device is unparalleled. I can sit and watch movies, HD YouTube videos, and more without feeling the need to sit and stare at my LCD television. I have no real need to upgrade my television when I can watch quality video wherever I happen to be. The audio quality of the speaker on the Galaxy S4 gets a passing score, even though the HTC One (and even the One X) have far superior audio performance. But I didn't buy my smartphone to use as a boombox. I don't find myself in many situations where I would prefer using the external speaker over a pair of quality headphones, or the stock ear plugs that came with the device. The camera is giving me everything I need for taking pictures with my smartphone. I don't expect it to replace a consumer grade digital camera. The 13mp rear camera captures decent still photos, and I have yet to even play with the special effects. The Burst mode feature is fantastic, and gives you a chance to capture the perfect picture without spending a ton of time framing an active scene. Video quality of the camera is good enough to upload content to YouTube, and this is something that I do use quite frequently to capture and create videos for marketing purposes. Uploading video content via AT&T's 4G LTE network makes YouTube production a snap. Internally, you've got plenty of muscle with the 1.8GHz processor coupled with 2Gb of RAM. That means multitasking will not considerably drag down the phone's performance when running several apps. You have somewhat of a multitasking capabiltiy with the split screen feature, but you do only have a limited number of apps that can run via split screen. All of the gadgety fuctions that are jam-packed into the phone give you the ability to customize your experience. I find myself using the hands-free scrolling feature a lot, but I'd love to see this work on all applications, not just the stock Android browser. I will tell you that the Eye Scroll feature is somewhat useless. It is quirky, and more trouble than what it is worth. I can live without it. But I'd rather have a pile of useless and useful features than none at all. Once you turn off the features that you don't really need, you can settle for the ones that make operation of the phone more fun and convenient. My only problem is the amount of time that it is taking me to discover all of the hidden features that are built into the phone. But each time that I discover a new hidden feature, it only raises my enjoyment experience. I tend to use my Galaxy S4 for a lot of busines-related functions, including using a Square Card and Paypal's credit card reader. This turns my smartphone into a mobile credit card terminal. I can perform point-of-sale funcitons on the go, accepting payments on many items that I sell with my businesses. Looking on the inside, I have no complaints. The powerful processor and 2Gb of RAM is plenty enough to push as many as applications that I want to run at a time. And I love the flexibility of being able to pop off the back and toss in a spare battery that is always fully charged. All in all, I'm very pleased with my Galaxy S4. Surprisingly, I'm not missing the S Pen that I so hoped this device would have. For now, I'm happy using a rubber-tipped after market stylus. But I will be watching the horizon for the Galaxy Note III and contemplating a switch at that point. That's all for now, until I dicover more with this amazing smartphone! Well it looks like I'm not the only one who thinks that AT&T service is the best. I've been a customer on-and-off for the past 25 years or so, through all of the mergers and breakups. And I've been a recent customer since 2007. And I've been completely satisfied ever since. On August 1st, J.D. Power released a study stating that customers ranked AT&T as #1 in customer service. That covers retail sales stores, online services, and online call centers. The results of the study were based on 18,000 participants. Of all the communications giants, I have had the absolute best service from AT&T. Considering their size, they don't really have to make the effort to treat their customers like human beings. But they do. I have yet to have one negative experience in six years, since switching my cellular service provider. I was used to horrendously horrible service calls, mixed up billing, and wasting numerous hours to get things straight when something went wrong. My worst experience was spending 6 months to correct a faulty bill that had over $1,300 in incorrect charges. Each time I would make a call, I would get referred to a manager. Somehow, the records of previous conversations would "disappear", and I would have to spend 30 minutes (or more) re-explaining the situation, and showing proof on my wireless bills. I was even met with irate customer service representatives at times. It was a nightmare. Another large internet supplier that I have dealt with over the years gave me a similar frustrating experience, but in a different way. There was a major communication problem between the provider and the contracted field techs that carried out the service calls. On numerous occasions, service techs would arrive at my house and wonder why I was being information that was contrary to what they were told. And service calls would take as long as 3 weeks to be taken care of after the point of the initial call for help. Not the case with AT&T. At any time that I have had challenges, I have been greeted with the best customer service possible. And the reps not only take great notes that are posted to my account to help the next rep understand the issue at hand, but they even follow up a couple of days later to make sure the issue was resolved to my complete satisfaction. Keep up the good work AT&T, and I'll be glad to spend my hard-earned money on you for years to come. 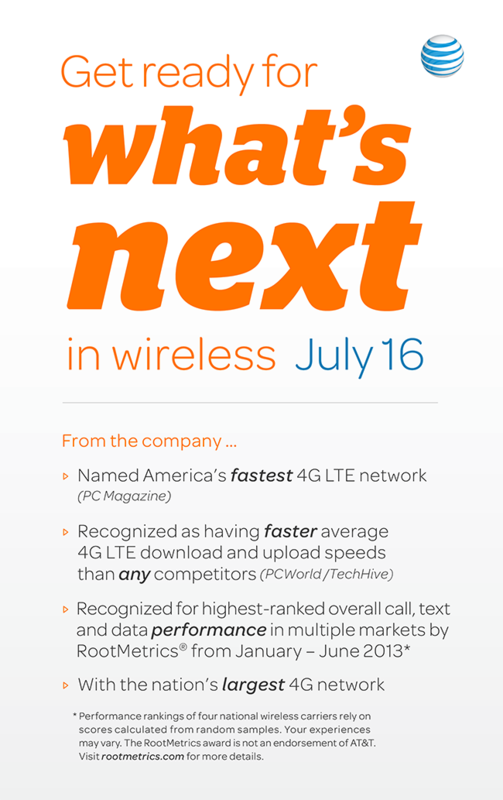 AT&T NEWS - UPGRADE DEVICES YEARLY & FOREGO CONTRACTS WITH "NEXT"
This is what we have been waiting for! Significant, exciting news from AT&T! I believe I predicted this to a certain degree of accuracy, but it appears that AT&T has gone beyond my prediction with its new "AT&T Next" offering. Instead of being stuck with your contracted device for 2 years and dealing with outdated technology, you are now able to upgrade after only one year with this new program. The company basically finances the full cost of the device, speading out payments over a 20 month period. But here's the kicker - there's no down payment, no activation fee, no upgrade fees, and no financing fees. Plus you can upgrade again within one year, even if you don't have the device paid off. I consider this very significant news, and it was well worth the wait. Why? Because I have said for a long time that technological advancement has now outpaced the length of carrier contracts. 2-year contracts for devices can leave you in a pickle. Let's say you buy a Samsung Galaxy S2 a few months after it has been released. You do fine with the device during the first year, because it's still close to being cutting edge for its harware specs. But after your first year, the Android updates start outpacing your device's ability to perform. Then the dreaded event happens: a monstrous update comes out that practically drags your device's performance down to a grinding halt. That's what happened to me when Android 4.0.3 was installed on to my Samsung Galaxy S2. I called Samsung Support, and they kindly told me that my device was so old that I couldn't expect it to keep up with the current operating system. They kindly told me that I should think about upgrading to a Galaxy S3, or get first in line for the S4 (it was not out at the time). It was at that very point that I knew things would have to change in the mobile market. No longer did standard contract time periods coincide with the pace of technology. So today, AT&T addresses this issue and comes out with the perfect plan to solve the conundrum of advancing technology and 2-year contracts. I couldn't be more excited. I'll most definitely be one to take advantage of the program and update on a yearly basis. For someone who leans on their smartphone or tablet as much as I do, this is the best way to go. It allows you to take full advantage of advancement in operating system environments, and stay efficient with device performance. So I say "HATS OFF" to AT&T! Thank you for the exciting news, and living up to the hype! New details on the Nokia Lumia 1020 are coming out, and it looks like there's more to this smartphone than the itty bitty 41Mp camera. It goes without saying that the Lumia 1020 smokes everything on the Android market with that monstrosity of a camera, though. There are some fancy things that this camera is capable of. For the "regular person" who doesn't engage in all that high-flying tech talk, they might think that a 41Mp camera would eat up all the memory on the device. But that's not exactly the case. The way this thing works is simple. It basically takes a 5Mp picture with 7 pixels crammed into each regular pixel, thus making it into a full-res image. They call it "oversampling", and that just means the camera jams a pile of additional pixels into each normal pixel. The reult? You end up with high res pictures that don't take up a whopping chunk of your smartphone's memory. The Nokia geniuses had somewhat of a major breakthrough with the smartphone's camera lens, giving it the best image stabilization of any phone device on the planet. They included a gyroscope inside the lens, and it floats around on ball bearings. That's pretty incredible. What that means is that you are getting real physical image stabilization. Regular cameras zoom in to the picture and lop off the four edges, moving around the video window to produce a "fake" image stabilization effect. Not the Lumia 1020. Its lens is actually inside the device moving around, counteracting all of your nervous twitches and shaking hand movements. That's pretty doggone neat. You end up getting a smartphone with a lens that is capable of performing at the level of quality you get with a consumer grade digital camera. That vaults the Lumia 1020 far and beyond anything you'll get with competing smartphones like the HTC One or the Samsung Galaxy S4. Nokia and Windows Phone 8 are smacking down the leaders with this incredible device, and it could quite possibly put them into the big leagues with sales. I've already said time and time again that Windows Phone 8 has the capability of taking a big fat chunk out of the market because of its ease of use and fresh, different approach. Now they are raising the bar on the hardware. These guys are serious, and I'm giving Microsoft and Nokia props for staying in the game with the Lumia 1020. There's nothing like fresh competition to make all of the other manufactures keep innovating. And AT&T will really stand to gain being the first network provider to supply this device. Stay tuned for more updates! I'll be keeping a close watch for more details. Camera buffs and smartphone afficionados might want to take note. 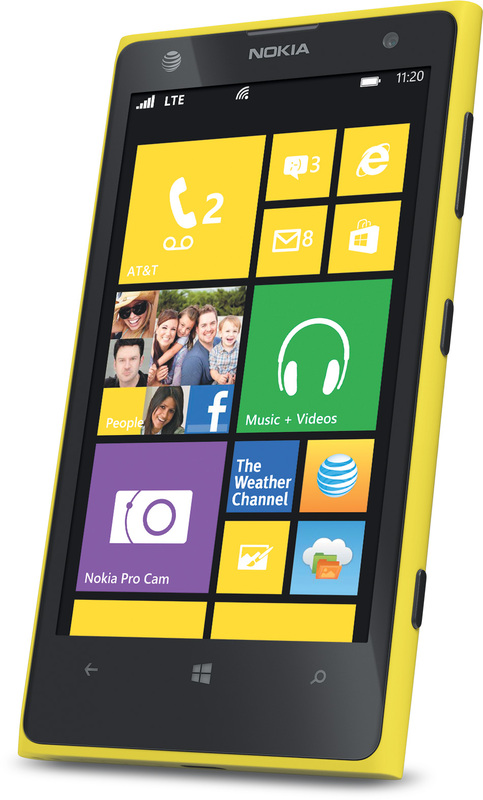 There's a monstrous new Nokia Lumia coming this summer via AT&T! The new Nokia Lumia 1020 packs a hefty 41Mp camera, taking a huge leap ahead of the pack for those that want to combine the quality of a professional digital camera with a smartphone with its ability to also record video in full 1080p HD at 30 frames/second. It features the new Gorilla Glass 3 display for maximum durability, and is super sensitive to to touch. You can even operate the device with gloves. I would expect this to be an excellent device, based on my experience testing the previous Nokia Lumia 920. It's a solid phone with a composite body, and the Windows Phone operating system is a competely intuitive system that you can pick up and immediately use without looking at the instructions. I'll hopefully get my hands on one later this summer to test out and give a full report. I'd love to try this device out for shooting video, and with the super fast frame rate, it might even be useful for shooting production footage. Stay tuned, we'll have more details soon! As you can see from the teaser graphic, AT&T has a secret to reveal to us all on July 16th, 2013. They are telling us to "prepare for what's next in wireless". Sounds like it is possibly signifant, if you ask me. Whatever this "next-in-wireless" thing may be, the company has guarded the secret quite well. Company employees don't even know what it is. And I've scoured the net for hints, and have come up with nothing. Some people think it will be an announcement that has to do with package deals or wireless plans. I don't. Family plans and package deals don't really sound like things that can be "the next thing in wireless" to me. I think it will be something entirely different. I also don't think it will have to do with any singular device. One smartphone or tablet can't possibly represent the "what's next in wireless" phrase. It's got to be more sweeping than that. Maybe it's an announcement that has to do with the unveiling of a new hardware infrastructure that will surpass the LTE 4G network and run at fiber optic speeds, thus solving the bandwidth crunch crisis. Okay that's probably a stupid guess, but I'm allowed to dream. Reeling it back in to reality, I think it might have something to do with enhancing the network. That could be accomplished by some "value-added" type of thing. Say, for instance, a brand-new streaming music radio service... or some super smart way to do video calling. Maybe they will announce their plans to add teleportation to the 4G LTE network service areas. If you've got a fast enough connection, you'll be able to teleport to work and ditch that pesky commuter train or carpool. The only other somewhat realistic idea could be something to do with hardware upgrades. Maybe they will roll out a new way to keep people's hands on the most current devices, without being required to wait for 24 months. I'd pay extra just do do that. The one thing I can say with 100% assuredness is that they will announce something on Tuesday of next week... and I'll be sitting with my ear on the radio, impatiently waiting to see what it is! Do you have a prediction of what the announcement will or will not entail? Share it in the Disqus comments section below! Blackberry Q10 Review - Buttons Are Back! Attention Crackberry fans! I have in my hot hands a Blackberry Q10 smartphone complete with old school buttons right on the face, serving up data on the AT&T mobile network. Is this the comeback device for Blackberry? I'm sure the execs at RIM (Research In Motion) hope that the Q10 pans out to be a contributor in their company's rebound. If the current loyal Blackberry user base gives it a chance, i believe this could be the device to save the ship. Instead of pull-out or slide-out keyboards, Blackberry has taken this phone back to basics with the trusted traditional click-style keys that so many people came to love. 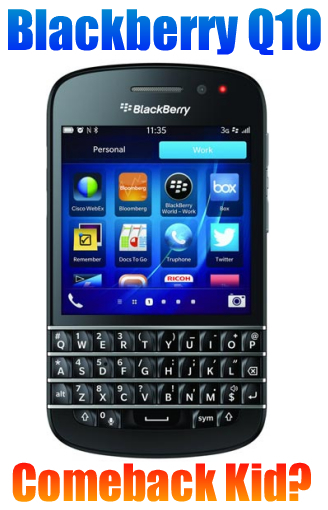 I still know of Blackberry fans who refuse to switch to a touch keyboard smartphone. But the Q10 has a surprise. Not only do you get the traditional physical keyboard on the face of the smartphone, you also get a complete touch screen with this device. That's delivering the best of both worlds. But will this bring back all of the former fans who grew to love their Blackberries? I think it can. My first impression of this smartphone right out of the box was very positive. Once you figure out the gestures to manuver around the operating system, this phone is a whip. And there's no frustrating fumbling to deal with like you get with all-touch soft keyboards on current smartphones. They have preserved the unique operating system environment of the older Blackberry devices, and it's simplicity is something to be appreciated. When my wife (a former Crackberry addict) saw this device, she considered dropping her Samsng Skyrocket to go back to her first love, a physical keyboard. Hopefully I'll keep this phone out of her sight, so I can avoid switching her out in the middle of her contract period. Believe me, I don't want to pony up the cash to make that happen. I used to be an avid Palm Treo user, owning a Treo 300, 600, and 650. I was about to buy a 750, but rumors started to swirl about the company's demise. But when the Palm Pre was released, I knew it was time to get off of the dying Palm bandwagon. The jury is still out on whether or not RIM will make a full recovery. We don't really know the reason why investors dumped massive amounts of shares in the company during the latter part of June, 2013. But I hope the company makes a connection with their once loyal customer base with this new device. Up until now, I've been avidly texting and writing emails with this device. This is a strongpoint with Blackberry's brand, and always has been. I'll be digging deeper into the operating system this week, and I'll have a full report for you soon. This will be a two-part review. It won't be like anything you've ever read before in a review. First off, I'm going to tell you exactly what my reaction was to opening and handling an HTC One (AT&T) Android smartphone right of the box. I won't hold back. Next, I'll tell you what I expect others to think of the things I mentioned in my initial review, and who I believe would be best matched for this HTC flagship smartphone. So buckle your seatbelts, and get ready for my raw, unedited review and most honest straight-forward comments! The minute I pulled the HTC One out of the box, the first thought that popped into my mind was "this is heavy, thick, and bulky". I already knew it was going to take a lot of positives to get over the first bad impression. The feeling of the device in my hands was not comfortable. I didn't like the sharp edges formed by the metal (or metal-like) back. It's definitely not the form factor of the One X that I thoroughly enjoyed. It almost reminded me of "retro electronics" devices. Just a bit too industrial for my taste. After failing my initial hand grip test, I went to search for the power button. This was a solid "strike two". The button is flush with the top of the device, and not exactly easy to depress. I am so used to the portruding iPhone power button and the portruding side-mounted power button on my Samsung Galaxy S II that I wasn't really ready for this big of a switch. The next awkward moment was figuring out how to unlock the screen. Again, after years of the "swipe to unlock" that is plain and simple enough for even someone with a lobotomy to understand, this was not easy. I don't quite like the unlock action on the Galaxy S2, but that has been improved with eh S3 and S4. But the HTC unlock, being a vertical pull, was odd. Once in to the operating system, I was lost. Strike 3. Maybe this isn't the fault of HTC. It's probably due to my iPhone and Samsung experience. The HTC Sense operating system is different enough that I can't get manuevering around in it right off. It isn't intuitive. I had a hard enough time finding the "settings" pane. But I was totally confused with the HTC symbol sitting in the middle of the bottom of the screen where a home button should be. That's a total fail. With only two navigational buttons, I still haven't found a way to get around with ease. I also haven't gotten used to the vertically-listed apps. I guess that's just something HTC does. And the five buttons in the home row is enough to give me a headache too. This again is due to my Apple and Samsung brainwashing. I'm out of strikes, but strike 4 would definitely be the volume button. This is the most least desirable feature of the phone thus far. The volume rocker is flush with the side of the device. It's pretty, with its brushed metal look, but it doesn't work well. I found myself constantly smooshing the bottom edge of the case, and not hitting on the volume buttons. It is so smooth and flush with the case that you almost have to look at the phone to properly depress the up and down buttons. That's a solid fail. The display on the HTC One is brilliant, crisp, and very high-def looking. But it doesn't go to the edges of the device like the Galaxy S4. Plus it's a couple tenths of an inch smaller. Maybe it's just in my head, but it is noticeable. The one shining feature that I noticed within the first 10 minutes of using the device were the speakers that bear the "Beats by Dr. Dre" branding. They have incredible range, and carry such thick bass that I am in awe of how they physically made this possible. But overall, my out-of-the-box thoughts after setting up the phone and giving it a whirl were really negative. This phone is definitely not for me. It's clunky, heavy, boxy, has hard edges, doesn't feel good in my hands, and is tough to navigate. I wouldn't even consider this smartphone versus the Galaxy S4. I'm a bit disappointed after enjoying the HTC One X as much as I did. That said, let's move to part 2... the stuff that would make people want to purchase this phone above all the competitors! Here's another point of view that you won't believe could be coming from me, after reading the previous portion of this crazy review. But at the risk of sounding crazy, I'm gonna flip the record over and give you the "other side of the story". The type of person who is going to totally appreciate this phone would be those who require a high build quality in their smartphones. The HTC One is the most solidly-built phone the company has broken out of the mold to date. I would say that it is on the level of an iPhone with a metal backplate. Not only is the phone built like a solid jeweler's piece, it is just as beautiful. The combination of brushed metal, polished metal, shiny white polycarbonate, thick solid-feeling front glass, and crisp edges in its form factor make it a work of art. There's no doubts about quality when you first lay your eyes on the HTC One. With the incorporation of Dr. Dre's "Beats Audio" in the front-facing speakers with this device, nothing will come close to the audio quality when playing music without the aid of headphones. They have worked a miracle in reporducing rich, robust sound for maximizing music enjoyment. As for the form factor and the buttons, aesthetics were definitely kept as a high priority with the HTC One as nearly nothing portrudes from the edge lines of the device. If you run your hands around the edges of the phone, you hardly feel the volume buttons, power button, headphone jack, or micro USB jack. It is very elegantly laid out. It goes without saying that the screen is aboslutely breathtaking with the vibrance and color reporduction that HTC has built in to their latest HD technology. There will be absolutely no complaints for this device's ability to show off multimedia content. But the biggest advantage to the HTC One as it relates to the display is the soft keyboard. The only device that even comes close to what HTC has done when it comes to ease of typing is the Nokia Lumia 920. But HTC has perfected the ease and accuracy of the soft keyboard on its device. And unlike any other manufacturer or device, the HTC One gives a "click" sound when your finger releases from the screen (after selecting something) that almost makes you feel as if there was a super thin button membrane popping back out. Totally amazing! The spacing of the letters on the keyboard layout are just about perfect, and the haptics gives the most comfortable balanced feeling for feedback that isn't "too much" or "too little". It's hard to describe it, but the designers definitely kept the tradition of HTC's superior soft keyboard feel. So... overall, for people who are current HTC fans, and for those that are iPhone users switching to Android, this will be a solidly satisfying device that should make record sales for HTC. If this device has caught your eye and has done well with a test drive in your hands, you really can't go wrong. And that my friend is the long and short of it. If I have sparked your brain into the urge of sharing an opinion, please sound off in the Disqus comments section and let me know what YOU think of the HTC One! Or anything else you'd like to yap about! Big thanks to AT&T (the only real carrier) St. Louis for the opportunity to test and review this great device! More details to come, and a full report at the end of my test period. Meanwhile, check out the Youtube video review below, and get more specifics on Amazon.com! GET THE HTC ONE RIGHT NOW AT AMAZON WIRELESS! AS LOW AS $129! For the best prices on smartphones with contract agreements, head on over the Amazon Wireless and pick up an HTC One from your carrier of choice as low as $129 with a 2-year agreement and help to support the CarltonZone Blog! Samsung Galaxy S IV - Where I'm Buying, Plus Network Choice! I'm up for an upgrade! I couldn't be more excited to replace my current Samsung Gaalxy S II that just can't keep up with Android 4.0.4 and all of the pressure I put on it to multitask and make my life more simple. My choice for an upgrade? I'm sticking with the team and getting a Samsung Galaxy S IV. There are several reasons why I have chosen the Galaxy S IV to serve as my secondary external brain and memory unit. I would assimilate if I could, but this is the next best thing. But the biggest reasons? Big brilliant display, touchless gesture control, removable battery, light weight, and durable construction. Sure, the Galaxy S IV has a laundry list of other things that motivate me to get my hands on one, like the 1.9GHz quadcore processor, 2Gb of RAM, 13 Mp camera, super thin and lightweight form factor, and more. I could bore you all with those details, but I won't. The main point is, it's the most technologically advanced smartphone on the market and comes from a trusted manufacturer that has experienced a ton of success. Where will I pick up my Samsung Galaxy S IV, you ask? I'll be getting mine on Amazon.com for the lowest offering of any retailer. Right now, they are selling the AT&T version for only $168 with a 2-year contract for all eligible upgrades and new accounts. You can't beat that with a stick. That actually leads me to my next revelation (that was already revealed), which is my carrier of choice: AT&T. We've got 4G LTE coverage in Central Missouri now, so I will have super fast download and upload speeds on a network that I have had no problems with whatsoever. You can get your Samsung Galaxy S IV right here on Amazon.com and help to support the Carlton Zone blog site while at the same time, getting it for the best price available. Amazon is one of the most trusted suppliers in the nation, and they will ship the smartphone right to your doorstep. Nothing could be more simple than that! Grab your Samsung Galaxy S IV right now at Amazon Wireless for the best pricing possible on all major carriers when you sign a valid 2-year agreement! Click the link to jump to Amazon and join the Samsung revolution! Could LTE Bury The Dinosaur Cable Coax? I'm enjoying surfing the net on my home computer at speeds upwards of 28Mb/s. It's fantastic. I never thought I'd be enjoying such high speeds. To my surprise, the Mediacom company is offering 2 packages that are even faster that what I currently have: a 50Mb/s Ultra, and 105Mb/s Ultra Plus. That's insanely fast, as far as I'm concerned. Just a few years ago, the techie prognostocators said we'd never see Internet speeds of even 50Mb/s like Europe, because the US is too spread out and we don't have a majority dense tightly packed city population like they do with a great copper wire network. But as awesome as it sounds to surf at 105Mb/s on your home computer with Mediacom, they might be obsolete within a couple of years. Chances are, they are topped out on how far they can go with increases in speed packages. To get the Ultra Plus 105Mb/s package, Mediacom had to do a lot of hardware upgrades to their network. They worked hard on updating modems, switches, and the fiber optic lines. But they also had to find a source of available bandwidth to run the data. From what I know, I believe this came from decomissioning 2 different sets of available bandwidth from their analog television channel offerings. They had to trade out the use of those frequencies, and add them to the existing 2 frequency ranges that they were already using in order to create the 105Mb/s package. Each range has a capability of pumping out roughly 25Mb/s of data. Long story short, it looks like they are topped out. All the while, the big mobile network providers are rolling out LTE (Long Term Evolution) 4G service across the nation, with no wires, providing download speeds as high as 54Mb/s. Which do you think has the most capability for expansion? The topped-out big fat wire from the cable service provider, or the wireless LTE network? Things will get interesting once we see the full rollout of LTE service right here in my home town. Once AT&T (my provider) tweaks the system and can reproduce the super high speeds that we already have in St. Louis and Kansas City, I might run out of reasons for keeping my cable modem. The only stumbling block will be data charges. Can a mobile service provider dole out enough data for download at a reasonable price that can compete with the cable company? Right now, the answer is no. Even at the lowest level for Mediacom, called "Launch", you get 150Gb of total data to download for your 3Mb/s service. Each package increases the amount you can download for the month, ending at 999Gb with Ultra Plus. As we know, the cell service providers like capping us greedy data downloaders off at 250mb, 3Gb, and 5Gb. That pales in comparison. This could be the saving grace for Mediacom's high speed cable internet service... for now.